If you believe in the Abrahamic view of God and Satan, then surly killing in the name of God only serves Satan. You cannot kill and serve God. Society may see killing as a necessary punishment, but that only serves society, not God. Since the attacks on the Pentagon and World Trade Center in 2001, various groups have put in effort showing the terrorist followed an invalid and flawed version of Islam. It is an easy argument to make. Islam is a huge religion and all the Islamic terrorists in the world, put together, make up an extremely small portion of its followers. Defining Islam by terroristic acts is much the same as defining Christianity by the sermons of Appalachian snake handlers. In the end, the argument misses Islam’s real problem – intolerance. Recent news coverage highlights cases demonstrating the extent Islamic society institutionalizes intolerance. In Pakistan, for instance, a non-Muslim (she is a Christian) mother of five faced death for insulting Muhammad. She stood accused of violating Pakistan’s laws against blasphemy. The penalty for defaming Muhammad is death. In general terms, the Pakistani blasphemy laws protect all religious figures from irreverence, but it specifically defines the protections of the Muslim prophet Mohammad. In other words, they discourage talking down Jesus Christ or Buddha, they may even put you in jail for a time, but they will cut your head off for defaming Muhammad. In fairness to Pakistan, in the woman’s case, they planned to hang her rather than cutting her head off. Ultimately, the woman was found innocent of the charges but she is still in jail (over eighteen months now) awaiting either a presidential pardon or the legal appeals process to run its course. While the government of Pakistan understands the international nightmare they avoided, they seem to lack the will to overcome the national demand for this woman’s punishment and let her return to her family. For the government, it is a political issue with a razor’s edge. Pakistan is not a handful of rogue Muslims with a perverse agenda. It is a country that is home to approximately 11% of the world’s 1.5 billion Muslims. It is a country that established a national religion and demands its citizens promote that religion. While it does not prohibit other religions outright, it has established Islam as the basis for many of its laws, essentially suppressing religious freedom for millions of non-Muslim Pakistanis. In the end, it is an Islamic country willing to put a person to death simply for making a derogatory statement. I cannot speak for anyone else, but for me, that makes the Islamic Republic of Pakistan the definition of intolerance. The case involving the mother of five is one of many in Pakistan. While it appears the court and government does follow the basic principles of jurist prudence, the Muslim population is not so incline. Individuals acquitted or simply accused of blasphemy were later murdered or simply vanished, so much for the Pakistani flavor of Islam being peaceful. Of course, even with over 10% of the worlds Muslims, Pakistan is only one country. It is wrong to judge Muslims, worldwide, by Pakistan’s actions alone. While the vast majority of Islamic people are peaceful, we, non-Muslims, know them by the actions of the few that follow a path of horrific violence. After all, it is the rarest of individuals that makes news by following the way of piety. The silent majority allows the specter of terrorism to usurp true Islamic good will. We, non-Muslims, only hear the negative fatãwã making the news. Things like the Iranian cleric’s fatwa calling for author Salman Rushdie’s death, the two Iranian clerics calling for the death of anyone that burns a Quran, or the Indian Muslim scholars’ fatwã calling for the death (specifically the beheading) of Bangladeshi writer Taslima Nasreen and offered a 500,000 Rupee (about $11,000) bounty. While it is true that a majority of fatãwã are positive or deal with localized issues, it is the ones with a call to violence, being an act of reverence to God, which shocks the sensibilities of non-Muslims. It truly is a case of guilt by association. If individuals do not renounce a fatwã calling for violence, silence grants it their tacit approval. Such fatwã issuing people use violence like pigs use mud. They bathe in it. Even the smallest of association with them will taint you with that same mud, that same violence. Silence makes their acts of depravity Islam’s acts of depravity. Effectively, they insult both Islam and Muhammad beyond anything we mere infidels are capable. Such insults go way beyond a cartoon depicting a profit. Where is the outrage and where are the riots in the streets over that? My days of indifference toward Islam are over. I have waited long enough for peace-loving Muslims to stand up to the hate mongers perverting their religion. If Muslims are unwilling to reign in the idiots that pervert their religion, I will at least point them out. This latest case in Pakistan proves to me that the moral high ground is lost to radical elements, elements that will never take a “live and let live” attitude with the world. The voice of Islam is its radical elements who wish to restrict freedom of religion and freedom of expression for their own designs. In an effort to appease these radicals, the government of Pakistan has even gone as far as proposing to the United Nations making blasphemy a crime worldwide, all the while failing to recognize there is no greater form of blasphemy than killing in the name of God. “Pakistan Penal Code (Act XLV of 1860).” Welcome to Pakistani.org. Web. 04 Dec. 2010. Chapter XV, § 295 <http://www.pakistani.org/pakistan/legislation/1860/actXLVof1860.html>. Johnson, By Kay. “Official: Pakistan Christian Innocent of Blasphemy.” Washington Post – Politics, National, World & D.C. Area News and Headlines – Washingtonpost.com. 22 Nov. 2010. Web. 04 Dec. 2010. “List of Countries by Muslim Population.” Wikipedia, the Free Encyclopedia. Web. 04 Dec. 2010. <http://en.wikipedia.org/wiki/List_of_countries_by_Muslim_population&gt;. “Pakistan | Amnesty International.” Amnesty International | Working to Protect Human Rights. Web. 04 Dec. 2010. <http://www.amnesty.org/en/region/pakistan>. Mackey, Robert. “Fatwa on Rushdie Turns 20, Still in Force – NYTimes.com.” NYTimes.com. 14 Feb. 2009. Web. 04 Dec. 2010. 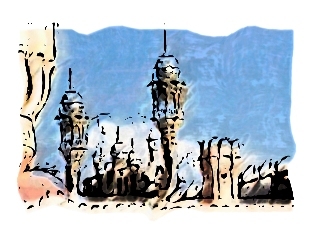 Sheikholeslami, Ali. “Iran Ayatollahs Issue Fatwas Against Koran-Burners – BusinessWeek.” BusinessWeek – Business News, Stock Market & Financial Advice. 13 Sept. 2010. Web. 04 Dec. 2010. <http://www.businessweek.com/news/2010-09-13/iran-ayatollahs-issue-fatwas-against-koran-burners.html>. Women’s Freedom Front. “Islam Watch – “Save Taslima Nasrin From Islamic Death Fatwa in India”” Islam-Watch. 27 Mar. 2007. Web. 04 Dec. 2010. “Defamation of Religions and the United Nations.” Wikipedia, the Free Encyclopedia. Web. 04 Dec. 2010. <http://en.wikipedia.org/wiki/Blasphemy_and_the_United_Nations>. Hardly a week goes by without an article appearing in a newspaper telling of further conflict between a European nation and its Muslim population. Population is the correct term, as issues are broad and deal with citizens, immigrants, and individuals there illegally. This week, it is Frances turn. Edward Cody, a staff writer for the Washington Post’s Foreign Service, penned an article covering the controversy in France dealing with mundane subject of hamburgers. While, at first glance, it might appear humorous, the subject simply highlights how Christians and Muslims lack an understanding of each other, a problem we, here in the United State, share. In the end, both camps must face the problem, and overcome it, if they intend to live together. While most people understand the conflict between the two religions goes back centuries, they may not realize it started before the Crusades. Over 350 years before the first Crusade, Muslims invaded Europe forcing European Christians to defend their homeland. After securing the Iberian Peninsula, the Muslim leader Abd ar-Rahman I, set his sights on territory held by the Franks. Europe, at the time, was a fragmented and had little chance of standing up against the organized invaders. That is, until one man stepped back, formed a plan and convinced various groups to set aside their differences and work for the common goal of self-preservation. With a nickname more akin to a Mickey Spillane character than the tony, aristocratic names of later French rulers, Charles “the hammer” Martel understood how to fight a battle. Without question, from the standpoint of defense, he was the right man at the right time. Under his guidance, the Franks developed a standing army capable of not only defending themselves, but able to push the invaders back across the Pyrenees Mountains. His efforts effectively ended the Muslim advance into Europe and lead to the formation of the Holy Roman Empire with his grandson Charlemagne. Of course, then came the Crusades and all the carnage that came with them. Given the history between European Christians and Muslims in general, is it any wonder there is mistrust today? On the one hand, Muslims simply want to enjoy a hamburger that has been prepared in accordance with their religious tradition. On the other hand, secularist and Christians see it as forcing them to accept the Muslim tenet of halal, as prescribed by Islamic law. The businesses concerned do not care, they simply want to increases profits and market share. Devout Muslims are only allowed to consume food prepared in the halal tradition, much like devout Jews restrict themselves to kosher foods. Both traditions are similar but differ in the particular religious aspect and various restrictions. In the case of halal, it is less restrictive on process but does require a set of particular prayers. Still, it is a religious practice and many that do not follow the Islamic religion may take offence at some point. In the end, businesses will decide if they need to adopt the practice based on profit and loss, nothing wrong with that. The practice of halal only becomes an issue if the government forces or bans it. In the end, the marketplace should determine the extent “halal only” restaurants and stores are accepted. Muslims in France voted with their money, as sales in halal stores increased. The French citizens in opposition are just getting started in applying pressure of their own. They see this as another step in Muslims finally taking control of the territory the Muslim army failed to conquer all those years ago. That is the point; it is not halal, as an isolated practice, which is at issue. The issue is whether France is becoming an Islamic state. By law, France does not officially use a census to determine its population demographics racially or ethnically. As far back as 2004, various demographers estimated the Muslim population of France, under the age of twenty-five, as high as thirty percent. As the Muslim population increases, it is natural for business to cater to the needs of that population. The question in France, as well as other European countries, is what to do when that population grows large enough to demand a change in government. In other words, the fear is France will become an Islamic state and lose its secular form of government. In the end, France must find a way to deal with its growing Muslim population. As citizens, they enjoy the same religious freedom as other citizens. At least they enjoy the aspects of religious freedom that have not been legislated away, such as the ban on headscarves. While something like how to create a hamburger highlights one of the many issues currently debated, that issue cannot be taken at face value. As the little, seemingly insignificant issues grow in number, France, as other countries, will be forced to reconcile its secular government with a religion that includes its own unique political system that defines what constitutes a legitimate government. Cody, Edward. “Letter From France: Hamburger Chain’s Decision Sparks Tensions over Islam.” Washington Post – Politics, National, World & D.C. Area News and Headlines – Washingtonpost.com. 14 Oct. 2010. Web. 15 Oct. 2010. <http://www.washingtonpost.com/wp-dyn/content/article/2010/10/13/AR2010101305943.html >. “Kosher vs Halal.” Ultimate Guide to the World of Halal Food. Web. 16 Oct. 2010. <http://www.ehalal.org/kosher.html>. Amiel, Barbara. 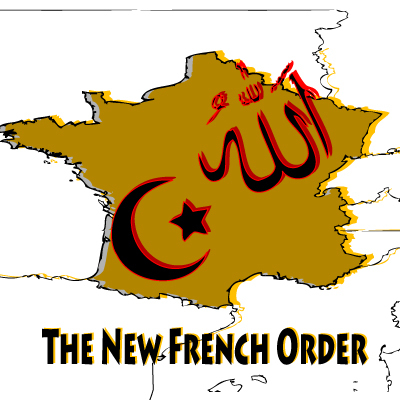 “Is France on the Way to Becoming an Islamic State? – Telegraph.” Telegraph.co.uk – Telegraph Online, Daily Telegraph and Sunday Telegraph – Telegraph. 26 Jan. 2004. Web. 16 Oct. 2010. <http://www.telegraph.co.uk/comment/personal-view/3601901/Is-France-on-the-way-to-becoming-an-Islamic-state.html>. Pg 13, United States. The Law Library of Congress. WORLD LAW BULLETIN. Ed. Constance A. Johnson and Wendy Zeldin. W.L.B. ed. Vol. 4. 2004. Print. Ser. 2004. Abul Ala Maududi. “Political System.” Web. 16 Oct. 2010. <http://www.islam101.com/politics/politicalsystem.htm>.